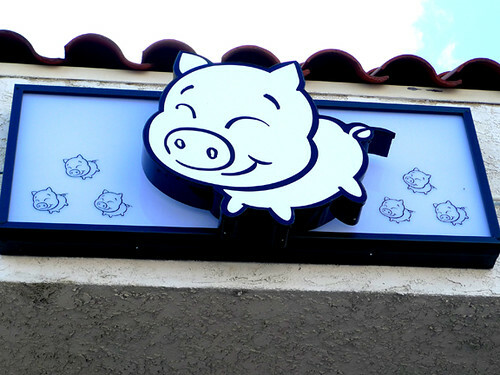 Four pork-centric restaurants in Koreatown, with food-obsessed friends on a Sunday afternoon… ABSOLUTE PIG HEAVEN. Photos from PORK MARATHON #1! 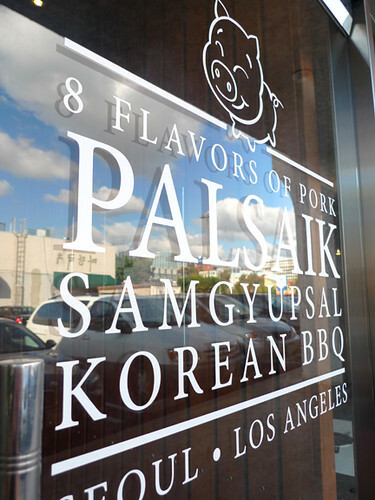 Palsaik (pronounced “pahl-sehk”) is a Korean BBQ restaurant that specializes in samgyeopsal aka PORK BELLY! 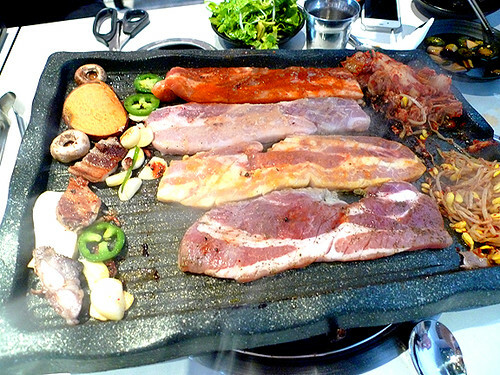 The restaurant offers “eight colorful flavors of pork” — wine, original (unmarinated), ginseng, garlic, herb, curry, miso paste, and the chile paste gochujang. Palsaik’s Pork Belly on the table grill. 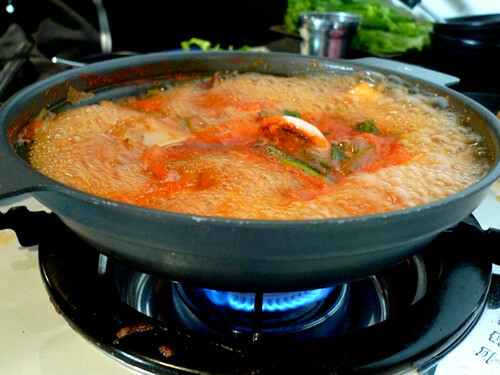 Haemul Jjigae (seafood soup) arrives (each dish cooked at the table). 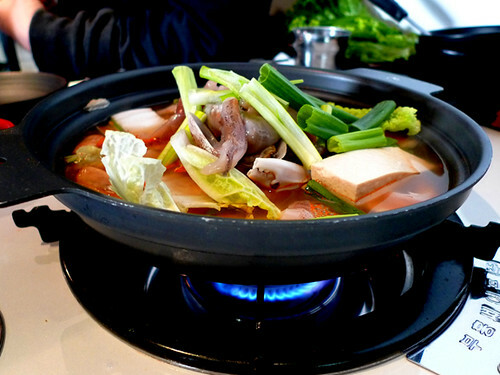 Haemul Jjigae… the broth was beautiful. SEE, it’s printed on the menu so it must be TRUE! 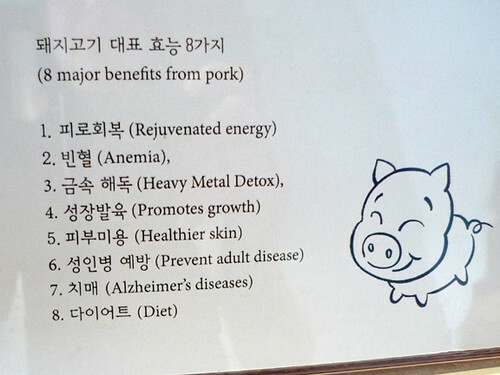 Pork is GOOD for me! Aftermath of Pork Marathon Stop 1. 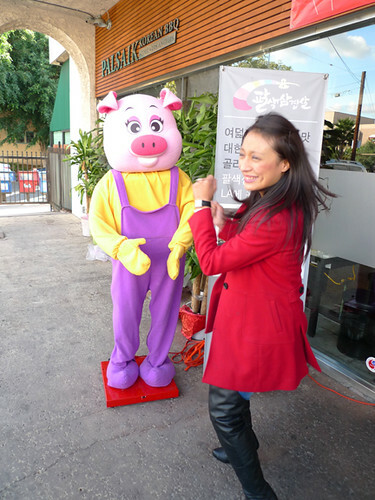 Christine, our lovely tour guide (and dear friend) dancing with the animatronic pig in front of Palsaik! The $39.99 set menu includes all eight flavors of pork, as well as seafood miso stew, mushrooms, and lettuce wrap. More info including Palsaik’s Menu & prices here. 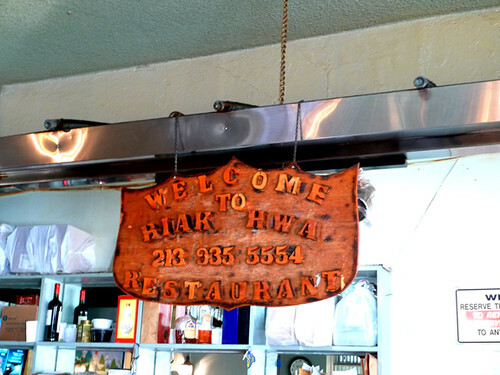 Please read Jonathan Gold’s LA Weekly Palsaik Review & browse Anne Fishbein’s gorgeous photos here. 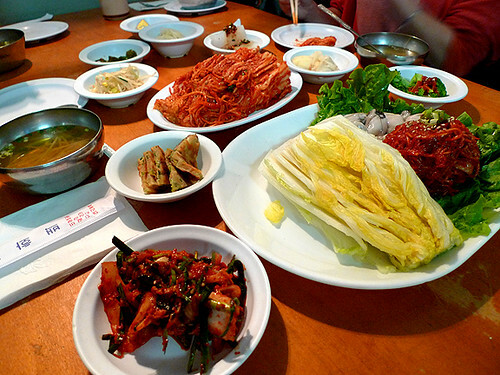 Baek Ha Chong is known for their Bossam (steamed pork), Daeji Galbi (pork ribs) and Kimchi Chigae (casserole). 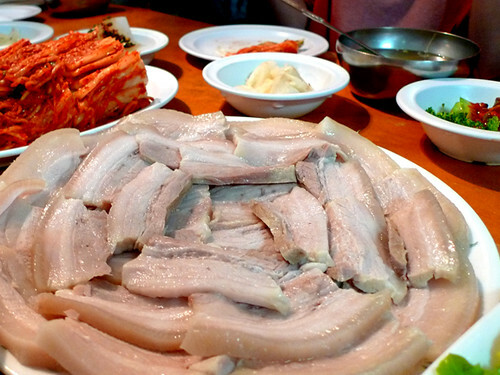 Steamed Pork (I topped mine with kimchi, tons of raw garlic & ate it wrapped in vegetable leaves). 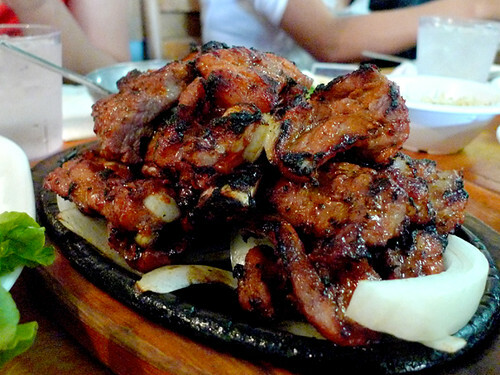 Spicy Pork Ribs at Baek Ha Chong. 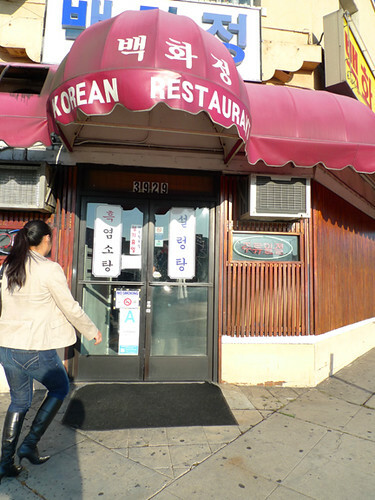 Exterior of Baek Ha Chong. 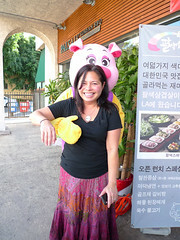 Check out more Baek Ha Chong photos by Guzzle & Nosh here. 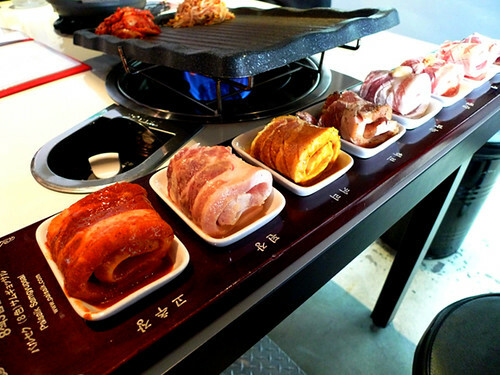 At Honey Pig, the pork belly is cooked in the center of the table on iron, dome-shaped grills. Were we sick of pork at this point? HECK NO. 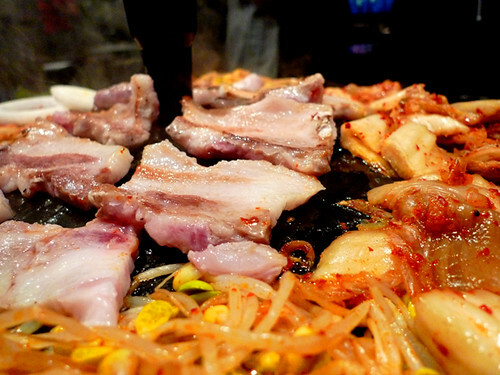 After grilling the pork, veg and kimchi the server will bring rice (and more veg) to SOAK up all the juices. SO GOOD. 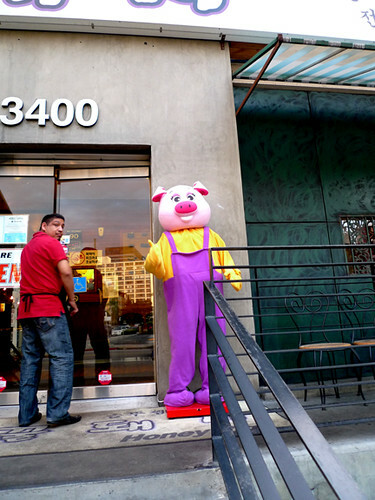 Many photos of previous visits to Honey Pig here. 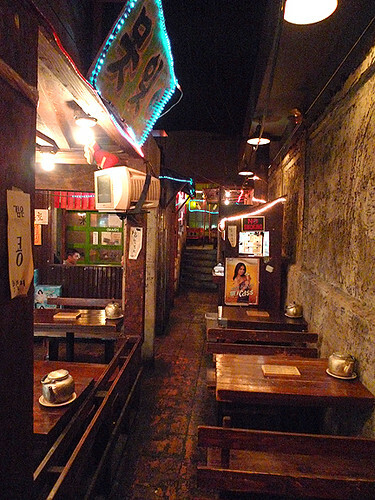 DGM – Dwit Gol Mok is Korean for “back alley”, and it literally LOOKS like an old, alley INSIDE. It’s difficult to find (we entered through the back entrance), but worth the effort. I loved the street-food ambience and quirky decor because it reminded me of my childhood in Okinawa. 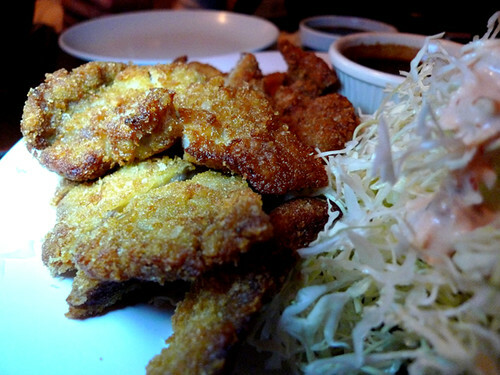 Fried Pork at DGM (our final pork dish of the day). 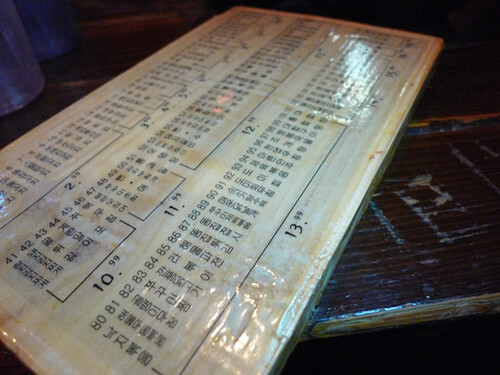 Menu at Dwit Gol Mok is in Korean. Luckily we had Korean-speaking Christine guiding us through the day! Kooksoondang Draft Makkoli (Korean rice wine) at Dwit Gol Mok. 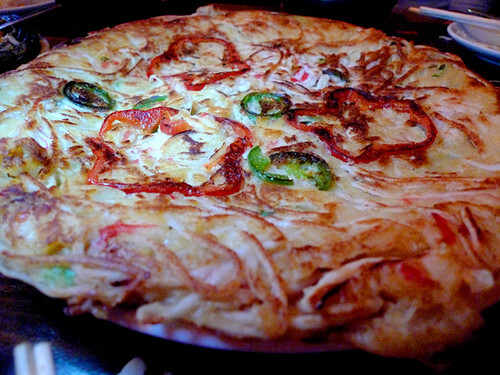 “Cheese Corn” at Dwit Gol Mok. 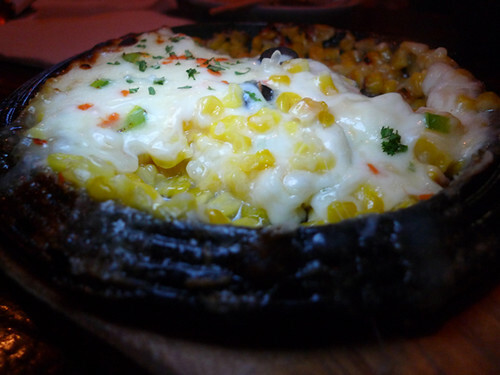 After all the salty, porky goodness I was happy to tuck into this sweet, sizzling dish. Great for soaking up the Makkoli too. 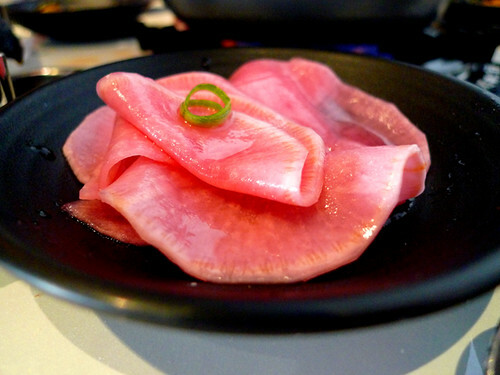 Check out GastronomyBlog’s beautiful photos of DGM (with more info) here. The next time I go to Dwit Gol Mok, I’ll have my iPad ready with a photos from blog posts (so I can point out a few more dishes to try)! Many, many thanks to Christine & Julian Fang for organizing this EPIC PORK FEST! CHEERS to everyone else who joined in the fun throughout the day: Peter (of course), Jill, Elina, Neil, Leilani, Caleb, Evelina, Sandra, Wes, Jin and H.C.
OH MY GOD. I am sitting at my desk drooling & am organizing a pork marathon w/ my co-workers RIGHT NOW. This all looks FANTASTIC, thanks for sharing!! 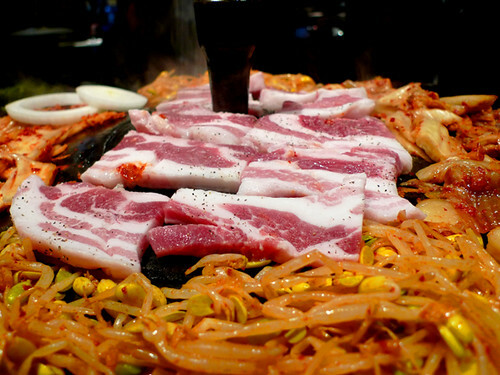 Look at all this pork, being vegetarian isn’t even possible now, you have brought me back to pure goodness. Keep ’em coming, is pork your favorite? Wow, that animatronic pig is getting awfully familiar. That looks like a fun tour. 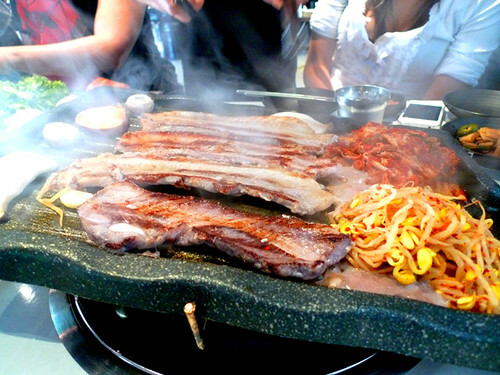 I hadn’t heard of Baek Ha Chong before, but those ribs look good. 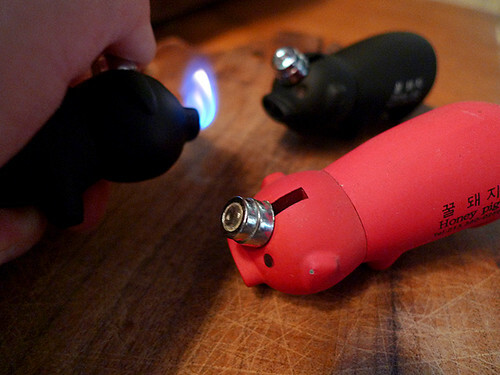 So do the pig lighters. 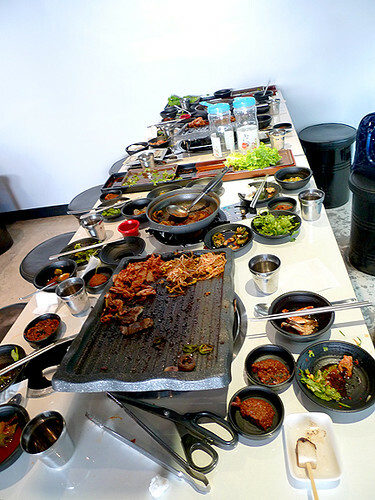 Love what you did here, most foodies just take a picture of the food but you capture the entire atmosphere, great post!